It's not something you normally think about. Medicine and your hair. You think about all those crazy side effects that are said so fast on the commercial that you can't ever really understand what their saying. Maybe they mention something about your hair, maybe that don't. But the truth remains the same...there are numerous ways that medicine can affect your hair. Hair loss. Is probably one of the biggest ones. Sometimes people experience something called telogen effluvium. It's a fancy word that means some of your hair follicles are prematurely falling out. pH balance. Some medications can cause the pH in your hair to get off balance. It can affect how soft your hair is or even cause problems when getting your hair colored. 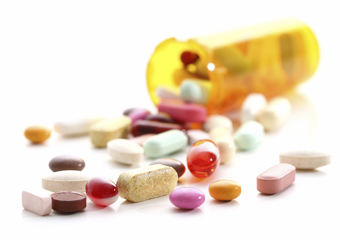 If you start taking a new medicine, talk to your doctor about possible side effects for your hair. Or if you start experiencing any sort of funny business with your hair, talk to your doctor. Your stylist can work with you on any problems you're experiencing, whether that be hair loss, brittleness, or color spotting. And remember...always read your med info packet. That's all for today's public service announcement.